What is Mura, Muri, Muda? Lean and the Toyota Production System is full of formal and specialized terminology. This article will try to untangle and demysticize the concept of waste in Lean. So, what is mura, muri, muda? Below are my articles on the 7 Wastes, but please continue to read the rest of the Mura, Muri, and Muda article. In the Toyota Production System, there’s a concept of waste – which are activities that are “necessary” and steps that are “unnecessary”. In more modern literature and around Lean circles, the terms “value-add” and “non-value add” are used, but I have not found any terminology of that type in the original text on the Toyota Production System. So, let me now introduce the Mura, Muri, Muda. Eliminating unevenness or irregularities in any operation or process is one of the main principles of the Just-In-Time system, the main pillar of the Toyota Production System. I’m sure you’ve experienced times of unevenness, with high peaks, low valleys, and impacts labor productivity, staffing, and a whole host of other issues. On the morale side, there’s tremendous burden in having to adjust to peaks and valleys of demand. Mura is an important type of waste in Lean and is addressed by various countermeasures: Mura is leveled through the application of Heijunka principles and Kanban devices. Workflow is also smoothed by requiring members to operate multiple machines — also known as ‘multi-process handling’ — within any particular process, and by predicting and preparing for times of high demand. It’s no surprise that if there’s unevenness, then there are times where machines and people are overburdened. 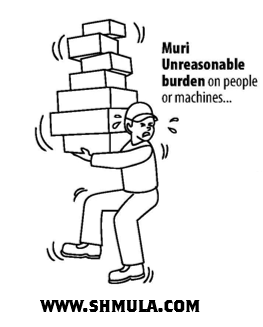 This brings us to Muri, another important type of waste in the Toyota Production System. The main purpose of a just-in-time system is to eliminate overburden of equipment and people. And, remember, just-in-time is one of the main pillar of the Toyota Production System. To avoid overburden, production is evenly distributed in the assembly processes. It is the second of three types of waste highlighted within the Toyota Production System, requiring the balancing of manufacturing pace to allow members sufficient time to achieve the correct standard of work. A reduced time frame will be too burdensome to achieve the objective, while the allowing of too much time is a waste of resource. So, identifying the balance between not enough work and too much work is a delicate and difficult point to achieve, but becomes one of the hallmarks of the Toyota Way. In management terms it refers to a wide range of non-value adding activities. 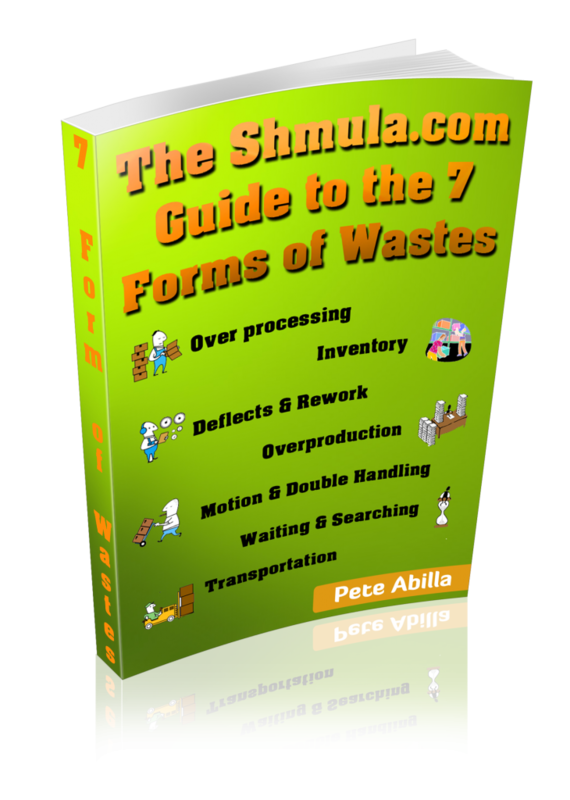 Eliminating waste is one of the main principles of the Just-In-Time system, the main pillar of the Toyota Production System. Considered as waste are unnecessary financing costs, storage costs, and worthless or obsolescent inventory. 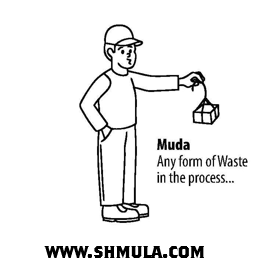 Toyota divides Muda into seven resources that are frequently wasted: 1) Transportation — a cost that adds no value to the product but increases the risk of a product being damaged, lost or delayed; 2) Inventory — a capital outlay that if not processed immediately produces no income; 3) Motion — any damage inflicted through the production process, such as normal wear and tear in equipment, repetitive stress injuries, or by unforeseen accidents; 4) Waiting — products that are not in transport or being processed; 5) Over-processing — when more work is done than necessary, or when tools are more complex, precise or expensive than necessary; 6) Over-production — larger batches or more products being made than is required; and 7) Defects — the loss involved in rectifying faulty parts or products.